16.04.2018 CTL DEMO - Parts & Service Voucher Winner! 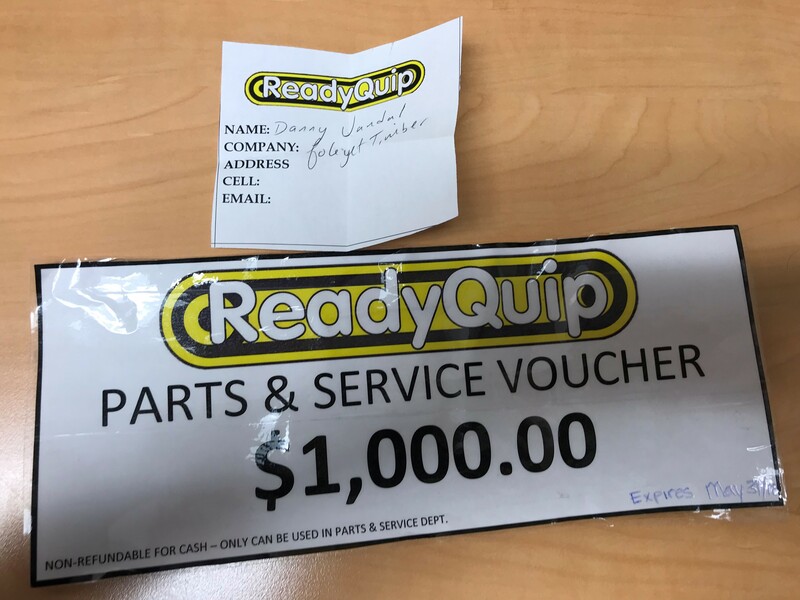 YOU ARE THE WINNER OF THE PARTS & SERVICE VOUCHER! Thank you to everyone that came out to the RQ CTL Demo this past Thursday / Friday! We appreciate support! Stay Tuned for more videos and pictures!